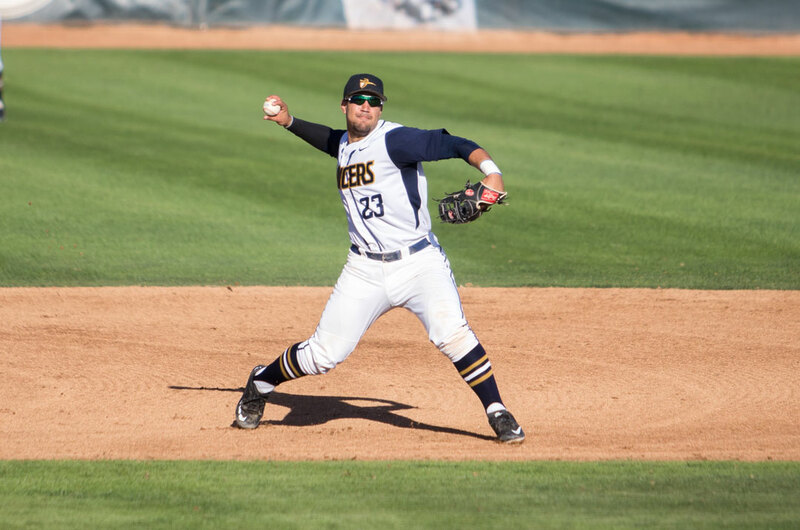 The baseball season is underway at California Baptist University and the team is off to a good start. The team marks the midseason with a 13-5 record overall, improving with a 3-1 win on the road series against Dixie State University. Gary Adcock, head coach of the baseball team, said he feels the season is going well. Adcock said this progress is going to shape the team’s future in the season. “Now is a time to play our best or we are going to put ourselves in a hole,” Adcock said. Adcock also said he has big expectations for the team this season. Stephen Lohr, junior psychology major, catcher and third baseman, said he is confident in the progression of the season. Lohr said he feels good about his progress as a player. Lohr also said he is looking forward to the end of the regular season and is ready to start the postseason. The team will look to improve as its season continues.